I had this cool idea to try this out one day and it was magnificent! Why? It's so EASY, you`ll have to try to fail. Hehe. It`s become one of my favorite things to bake because these are just sooo good! I was planning on posting these earlier, but I wanted to take new pictures of them since I knew I was going to make over Winter Break. Sadly, I never got the chance. It`s filled with caramel apple goodness! 1. In a small bowl, combine granulated sugar, brown sugar, cinnamon, and nutmeg with a fork. Set aside. 2. In another small bowl, gently toss diced apples with lemon juice. 5. Using a pastry brush, brush melted butter on each square. 6. Sprinkle cinnamon sugar mixture on each square (about 1/2-1 teaspoon each, depending on size). 7. Place 3-5 pieces of apples in each. 8. Wrap into a round ball and place about 4-6 balls in each muffin tin. I stuck a few pieces of apples in between the creases at this point. 9. With about 1 tablespoon of caramel ice cream topping, pour a little over all the muffins. (Not 1 tbsp each; divide 1 tablespoon of caramel between all muffins). 10. Bake at 350F for 15-18 minutes, or until tops are golden. 11. In another small bowl, combine caramel ice cream topping with milk. Mix until incorporated. Pour a little over each muffin. It's true, I am also super busy, but I would definitely put some time aside to make these. Yum!! Yay!! You won`t regret it! Sometimes you need a blogging break! After the holidays and all, I feel so wiped out. These more than make up for it, though! They look delicious. oh wow! I love caramel apple too! This looks amazing! I love cinnamon too! This is like my ulti muffin! P.s - I LOVE ur new design! Love this idea! That crescent roll dough is so great for quick recipes like this. I hope things have calmed down for you. I can relate! I love crescent roll dough! LOL. Thanks! I hope things are better now for you too! You always have the BEST baking ideas! I need to stop creeping on ur blog in the AM because now all I want is sugar. At 10am. 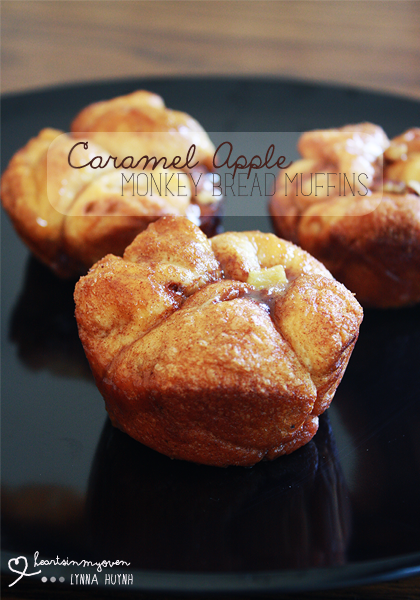 Monkey bread is a fam favorite, definitely need to try it as muffins, love love this idea! 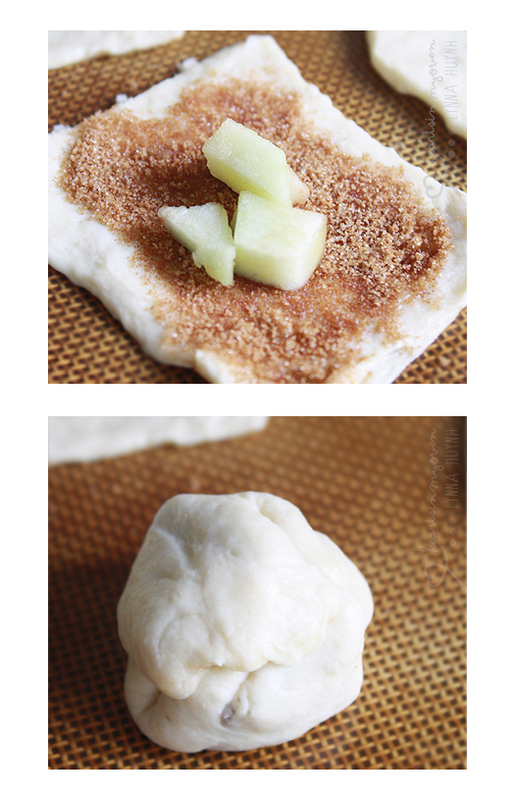 These are right up my alley - I love baking with apples and the pretty little muffins look so adorable!